Woodworking | Baton Rouge, LA - HIGHLAND CABINETS & MILLWORKS, INC.
Highland Cabinets and Millworks INC. (HCM), has been providing custom cabinets, millworks, doors, windows, stair parts, shutters and more since 1947. We pride ourselves on delivering personnel service on each and every order we receive. Committed to excellence we have built our reputation by surpassing the expectation of our clients. Our products are second to none in quality. 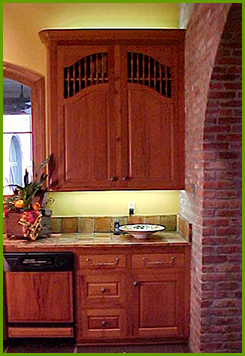 We maintain our reputation by selecting the highest quality material to provide our customer with the best products Contact us today, our knowledgeable staff can assist you in selecting your cabinets and millworks to add your personal touch to create the home you have always wanted. Visit our Products page for links to our products. No matter the scope or complexity of the project, you can be assured that HCM has the knowledge and resources complete that project. 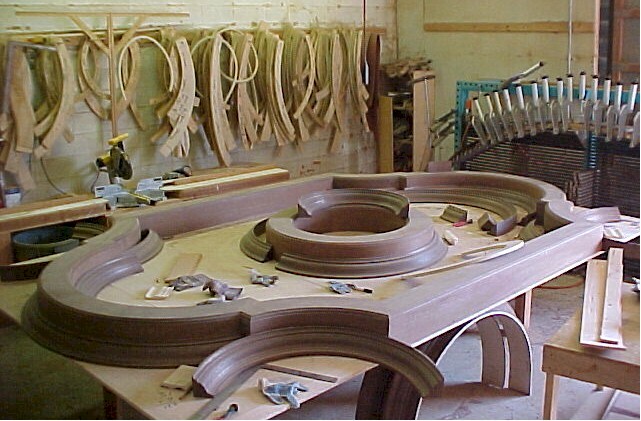 Historically accurate millwork reproduction, arch work, gothic designs or any standard casework we can mill it to your exact specification. Since 1947, HIGHLAND CABINETS & MILLWORKS, INC., in Baton Rouge, Louisiana, specializes in custom woodworking for both new construction and restoration projects. We manufacture doors, windows, wainscoting, and more. From custom cabinets and handmade stairways to decorative mouldings, HCM is more than capable of completing the project. We began as a cabinet shop on Highland Road and later relocated to Perkins Road. Architects and homeowners keep coming back to us because of the consistent high-end quality we deliver for any special woodworking project. We're not interested in mass manufacturing. Instead, we produce one-of-a-kind pieces to precisely fit your guidelines. We can accommodate any style and provide you with singular, attractive, and stunning results. Trust our professionals who have many years of experience backing their work. Proudly Serving Baton Rouge, Lafayette, Shreveport, and New Orleans, Louisiana; and Jackson, Mississippi. Also Serving Gulf South area of Florida to Texas to Tennessee.